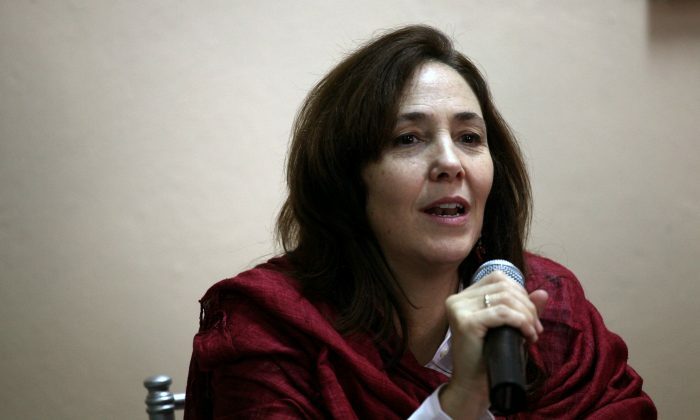 Mariela Castro, the niece of Fidel Castro, is not on board the missing Air Algerie Flight AH5017. According to Ouagadougou Airport’s website, Mariela Castro and two European French officials stationed in Ouagadougou were on Flight AH5017. “Among the passengers of VOL AH5017, there were two EU civil servants of French nationality based in Ouagadougou and Mariela Castro, the niece of Fidel Castro, the former Cuban leader,” it said. Ouagadougou Airport has since removed the information from its website. After the news broke, it was reported that NBC’s Mary Murray in Havana had seen Mariela Castro on Thursday morning. The Swiftair plane was headed from Ouagadougou in Burkina Faso to Algiers when it vanished from the radar 50 minutes after take off at 9:55 p.m. EDT on Wednesday, July 24. The plane sent a final message on Wednesday, 9:30 p.m. EDT to Niger air control requesting to change its route due to heavy rain. Flight AH5017 is believed to have crashed in either Niger or in northern Mali. See an AP report of the missing plane below. Air navigation services lost track of the MD-83 about 50 minutes after takeoff from Ouagadougou, the capital of Burkina Faso, at 0155 GMT (9:55 p.m. EDT Wednesday), the official Algerian news agency APS said. The flight was being operated by Spanish airline Swiftair, the company said in a statement, and the plane belonged to Swiftair. Algerian aircraft were overflying the region around Gao to try to locate wreckage, said Houaoui Zoheir, spokesman for the Algerian crisis center. He provided no details on the type or number of aircraft.